The charity fun run which created Runner Rocky is back! And this time, it is more exciting as finishers of all categories will receive medal after crossing the finish line! 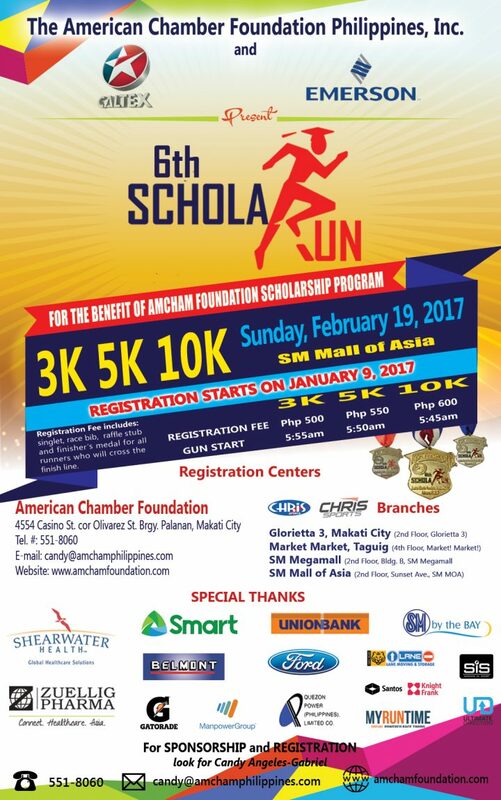 Now on its 6TH year, the AmCham ScholaRUN will be held this February 19, 2017 at its new route, the SM Mall of Asia. Organized by American Chamber Foundation Philippines in partnership with Chevron Philippines Inc., and Emerson, this running events aims to help the underpriviledged kids to continue their studies. 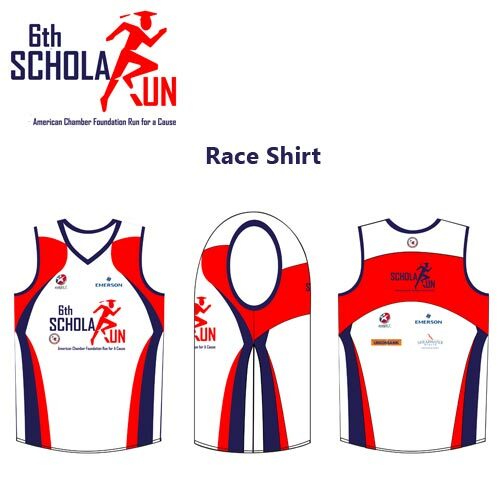 |The proceeds of the race will go to AmCham Foundation’s scholarship program. 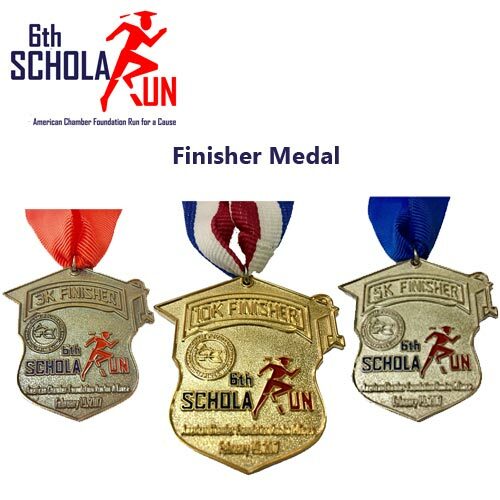 Unlike the previous years wherein medals were given only to the 10K finishers or first 100 finishers of the 10K, this year, ALL finishers of ALL categories from 3K to 10K will receive medal! And also unlike the previous years wherein the venue was in BGC Taguig, this year, the fun run will be held at the SM MOA, Pasay City. Therefore runners of this running event will experience to run a new route! Actor and a former AmCham Scholar Arron Villaflor will be at the race to lead the run together with the ABS-CBN Star Magic Celebrities.